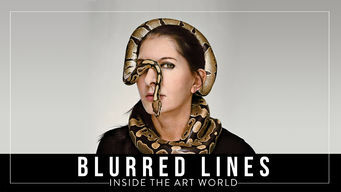 How to watch Blurred Lines: Inside the Art World (2017) on Netflix Netherlands! Sorry, Blurred Lines: Inside the Art World is not available on Dutch Netflix, but you can unlock it right now in the Netherlands and start watching! With a few simple steps you can change your Netflix region to a country like USA and start watching American Netflix, which includes Blurred Lines: Inside the Art World. We'll keep checking Netflix Netherlands for Blurred Lines: Inside the Art World, and this page will be updated with any changes. Blurred Lines: Inside the Art World is not available in Netherlands BUT it can be unlocked and viewed! Artists and industry insiders shed light on the commercial forces behind the veneer of genius and glamour that often shrouds contemporary art. Rigged auctions, bragging rights, whimsical tastes. In the art market, art is about everything but the art. There is a way to watch Blurred Lines: Inside the Art World in the Netherlands, even though it isn't currently available on Netflix locally. What you need is a system that lets you change your Netflix country. With a few simple steps you can be watching Blurred Lines: Inside the Art World and thousands of other titles! Watch "Blurred Lines: Inside the Art World"